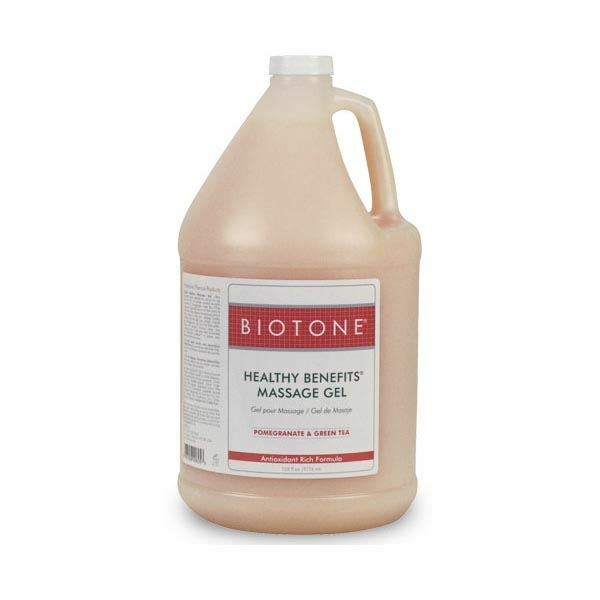 Healthy Benefits Massage Gel offers significantly more coverage than oils so you use much less. This rich formula contains powerful antioxidants of Pomegranate, Green Tea, White Grape and Grapeseed.| Known for their ability to protect and restore, these active botanical extracts deliver nutrients to the skin, promote healthy circulation and help fight free radicals. Anti-oxidant extracts of Pomegranate, Green Tea, White Grape and Grapeseed soften, soothe and protect. Oils of Pomegranate, Rice Bran and Soy provide deep skin conditioning and a light satiny feel. Formulated with Worry-Free washout to ensure easy removal and stain-free linens. Paraben-free, preservative-free.